Whatsapp web client is the extension of phone which allow to run the whatsapp in Android|iOS smartphone and Browser simultaneously.Previously this extension is available for all major Operation system like android,microsoft,blackberry except iOS.So To avail the benefit of whatsapp web,iOS user have to jailbreak the smartphone but good news for iOS user as whatsapp web client for iOS is now officially rolling. 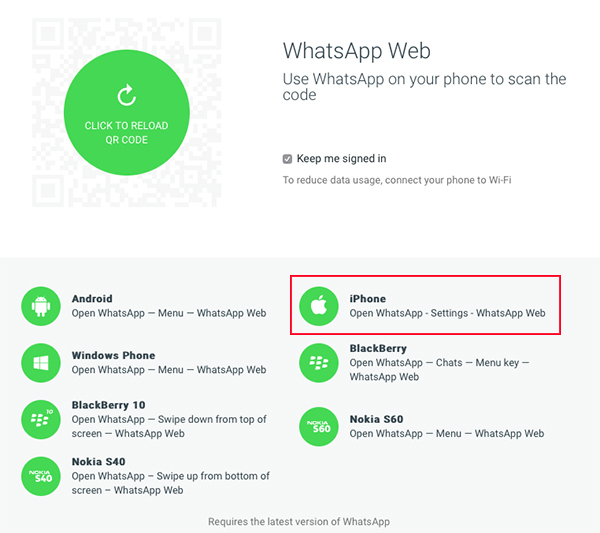 Follow the below steps to run the whatsapp web client in android and ios device. How to setup whatsapp web for iOS smartphone? How to use whatsapp web on android device. Earlier whatsapp web for android is limited to Chrome browser but now user can also run the whatsapp web in safari browser.